The meeting of GTO UK was called to order at 13.20 on 18 April 2009 in Reading by Ian Trevena (Ian_T). Ian welcomed everyone to the meeting and ran through the agenda, he then handed over to Paul Roberts (paulroberts) for his President’s report. Paul advised that he was stepping down as Club President after 10 years. The minutes from 2008 AGM were agreed with a majority vote by those in attendance. Ian advised that the Club had had another successful year and it was good to see so many members at the 2009 AGM. Ian thanked everyone involved for helping to organise the various club events held throughout the year; AGM boat trip, Christmas Party JAE (we won best club! ), Eurospec Dyno Day. Ian thanked Steve and Tracie for all their hard work producing the club newsletters. He reminded members that any contributions to the newsletter will be appreciated. Lastly, Ian thanked Paul on behalf of the Club for all the time and effort he has put into GTOUK over the years. Simon Baker presented Paul with a selection of wines and a picnic hamper. Ian handed over to Richard Fitch for the Club Secretary Report. Richard Fitch introduced himself to the meeting as Club Secretary and Membership Co-ordinator. Richard advised that we had a total of 412 members, 298 were renewals from the previous year and 114 joined during 2008. Richard confirmed that memberships will continue to be sent out recorded delivery and on a monthly basis. There will be a new design for the 2009/10 membership card. For any queries in connection with membership packs etc. please contact Richard, his forum name is Richie’s GTO. Steve Parkin (stevie) thanked Tracie for her help in production of the Club Newsletter and Mark Saunders for printing. 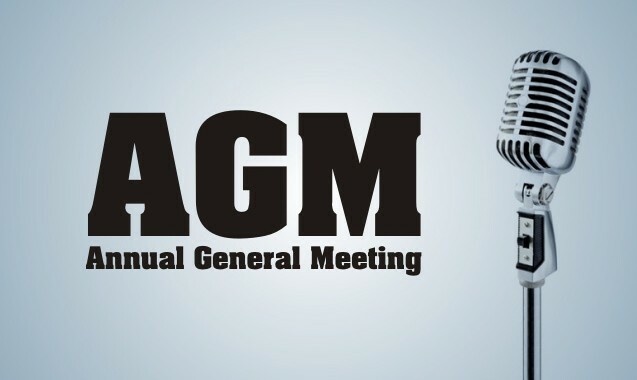 Steve advised that due to the low submissions of articles the Club Newsletter will now be issued twice a year, two months after the AGM and two months after JAE. If members have any suggestions for articles please contact Steve, the contents do not have to be GTO specific, and any suggestions are welcome. were approved by a majority vote. In recognition of his much valued support and contribution to the Club, Ian nominated Simon Baker as Club President, this was agreed by vote. Mark Sturman’s (GTOMAS) honorary position as Vice President was reconfirmed for 2009. The positions of President and Vice President are honorary positions and as such are not up for election. Ian advised that there is a vacancy for an additional WebMaster position to help Mark (Mr Toad). The vacancy will be posted on the Forum and is open to all members with appropriate knowledge/experience. Please contact Ian if you are interested. Web hosting and problems – it was agreed that due to the current unacceptable hosting problems the Club would change provider. Mark is currently looking into the best options available and will report back via the Forum. Ian advised that by changing internet service providers it would incur an additional cost to the Club but the availability of the site and capacity would be significantly improved. Club logo – Ian advised that the Club will continue to use the existing ‘flame’ logo and would not be re-branding. This was agreed by vote. Increase in Membership fees – It was agreed that there will be an increase in membership fees from 19 April 2009. New members wishing to join the Club after this date will be asked to pay £40. 2010 renewals for existing members will increase to £30 per year. PLEASE NOTE THIS DOES NOT AFFECT YOUR 2009 RENEWAL. Fees for ‘For Sale’ section on the Forum – Ian advised that due to the huge administration issues, this would not be enforced. Time limit on ‘free membership’ – It was agreed by vote that the general public would continue to have a twenty post limit on the Forums. Club shop – possibilities for non-traders – As the Club is held responsible for any merchandise or goods sold through the Club Shop, it would not be possible to allow traders to sell goods via the Club Shop. How can members contribute to running GTO UK? – Ian advised that the positions of Regional and National event organisers were no longer applicable. For assistance organising events, please contact our Club Events co-ordinator Dawn Milton (Angel). Dawn advised the meeting that there are various Club events on the Forum lined up throughout the year and if members would like to add any more please contact her. After the success of winning Best Club at JAE last year, preparations are already underway for this year’s event at Wickstead Park on Friday, 12 September and Saturday, 13 September. The themes are Halloween on Friday night and Medieval on Saturday. In addition, the Club has decided to offer dinner and breakfast to attendees. Tickets are available via the Club shop. Rob advised that he hopes to organise a Club day out at the National Transport Museum, further details will be posted on the Forum. On behalf of the members, Mark Sturman thanked the committee and helpers for their support and hard work during the last year. Dawn asked for volunteers to help co-ordinate JAE this year and Damon Atkins (smudge) kindly agreed. Julian Perry (Julian) will again organise the GTO Christmas Party for 2009 and Japs 2010. David Langley-Tayler (dbit01) has offered to help organise the 2010 AGM. Jane Elliott-Malpass (janey) advised that she may be able to help organise Japfest 2010 and would confirm mid May. To avoid disappointment Members should remember to book and pay for tickets in plenty of time. Congratulations to Ben Hartley (Benh) at Eurospec for 10.49 seconds at 132mph recorded at Santa Pod on 30 August 2008 in a 1991 GTO TT. Ian thanked all members present for attending the 2009 AGM. The meeting closed at 14.25.